Hi smokers. This post has got some denial against smokers thus if you’re feeling unfair, its meant the way it is. First of all, yes, Im a social smoker, too. 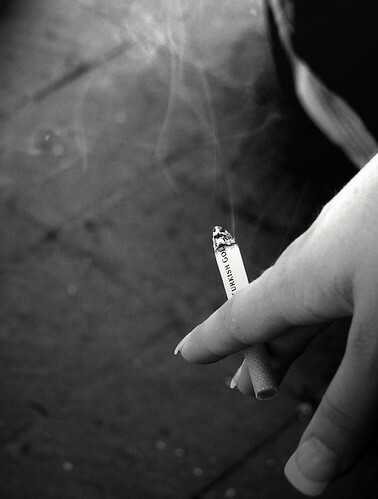 Like you smokers, I used to smoke when I was in school, with my friends, superiors at work and nightlife. I used it as a socialising tool like how you guys used facebook in order to have some connection with some friends; I used it as a destressing tool so that I feel better each time the methol goes smoothly into my throat and the sensation of smoking after eating is like peeing immediately after drinking. Okay, I lied. I still smoke sometimes and thats why Im called a social smoker. For you ladies, do you wanna have cervical cancer and cause your vaginal to be rotten or sealed? Flat breast? Think about your remaining days with your black lungs. Bald head? Is hat the thing you want to wear until your last breath? Bad breath? I hate the smokers who sit besides me on train. those regular smokers stinks to the CORE. HEAR ME! Rather die as a smoker than a passive smoker? think about the neighbourhood that has banned regular smokers. we’re smokefree in most areas now and we won’t die as a passive smoker if we don’t go near smokers. Do your parents even know about you smoking? aren’t you guilty to reach home in that disgusting cigarette smell even your parents do not question you? Or you just blame it on some pubs or friends? So you’ve got the moolahs and time, you want to spend on chemotherapying? why not spend it in message spas and facial salons? Get into some real decent hobby and pay for it! Your lifespan don’t last over 60. Face it. you’ll never see your grand children grow up! Its an irresponsible behaviour. Your escape by smoking is an addition to the pain you will suffer in time to come and your family members are the real ones who are affected because they will lose you. Viola, Im going back to facebooking. Sounds gross and sick. go PICTURE IT and drill in your heads! This entry was posted in Family, Friends, General, Thoughts and tagged no, say, smoking. Bookmark the permalink. How to convince others when you are a smoker yourself? Lead by example la. wah how can you shoot me sia! i v. long nv smoke already! !